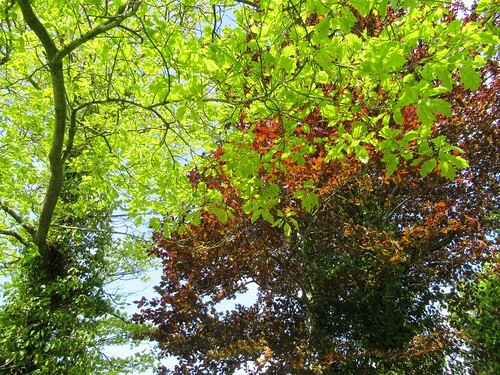 We do have a lot of trees and bushes so there is a lot of dry shade. The bluebells in my woodland corner don’t seem to mind as they are self seeding, soon there will be a bluebell wood, albeit a small wood. 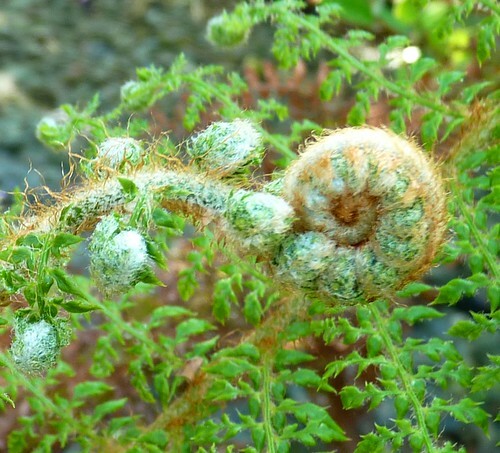 I love seeing the fern fronds unfurl. 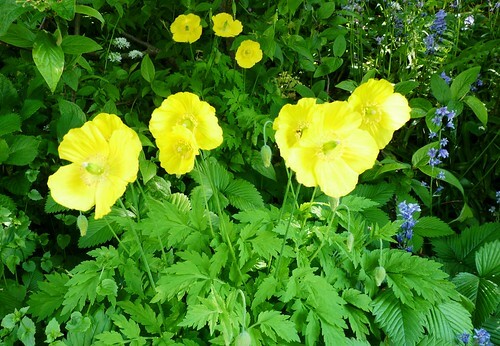 And the sunny faces of Welsh poppies, I wonder how something so delicate can survive in such a windy garden. 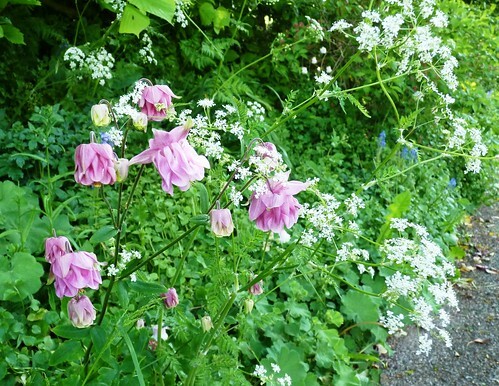 Granny’s bonnets self seed everywhere, they look so pretty with the cow parsley which has self seeded from the wild. 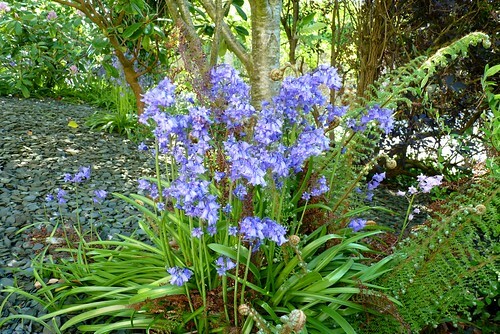 I know these are not native bluebells but they still look very pretty. I like to let the plants join together to form a rich tapestry, I love all the leaf textures, also it gives the voles some protection even if they do eat my wild strawberries. 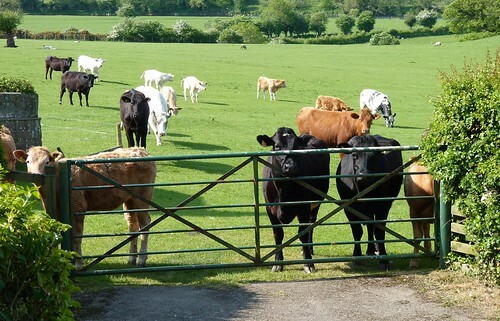 Here are my neighbours who came to say hello while I was out in the garden. 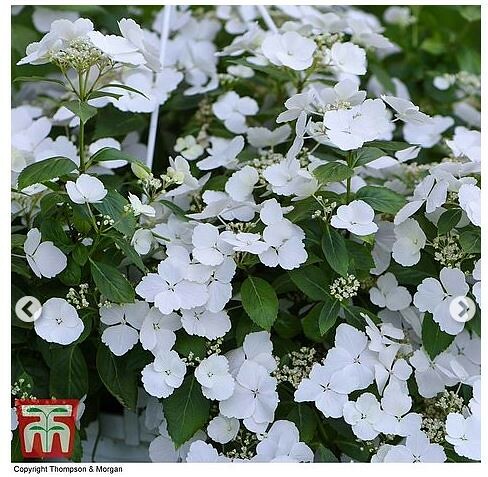 Having watched Chelsea this week, drooling over the plants and gardens, I decided to buy this hydrangea Runaway Bride from Thompson and Morgan for the edge of my woodland garden. 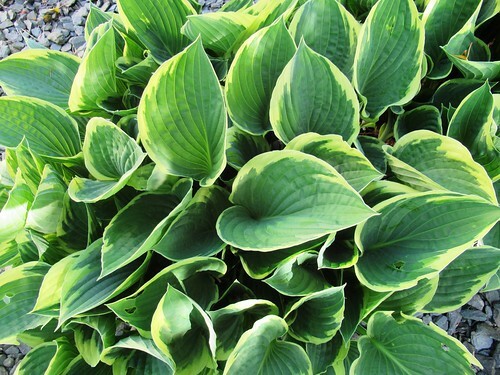 I think I might plant it near the footpath where my hostas and daylilies grow. 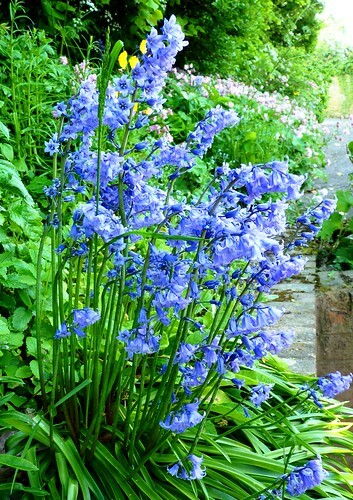 I’ve updated this post, it’s a week since I wrote it, now my bluebells have gone over, the wind got up yesterday and damaged a lot of plants, you would think it was Autumn the number of leaves lying around. That’s how it is gardening here unfortunately. But I cut few leaves and flowers to try out some eco dyeing yesterday , it didn’t work as well as I hoped but it was fun. I need to play some more but might tell you about it later. This entry was posted in Garden inspiration, kiln fired art and tagged dry shade garden, nature garden, semi wild garden. Bookmark the permalink. 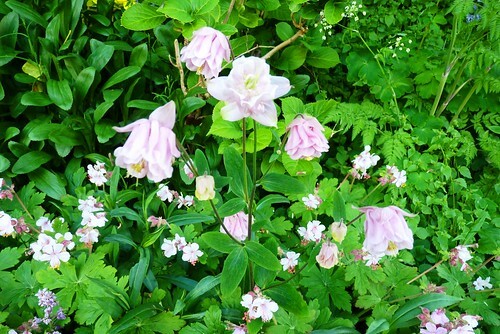 Oh your wild garden is so beautiful….. Eco dying I want to have a go at that…. Did you boil the pages? Did you put white vinegar in the mix? Alum helps too. Yes I steamed them but just with water. I have some more steaming now with vinegar and rusty water. I found a great blog called Threadborne on WordPress. You Tube is brilliant just search Eco dying paper you’ll have lots of tuts about it. You need a big saucepan if poss and boil them. Better with heavy weight paper though I think it stands up to boiling better. Have you tried hammering plants onto white or coloured cloth? Some plants leave beautiful stains in their own shape. Just iron to set the colour. Than you can add embroidery. 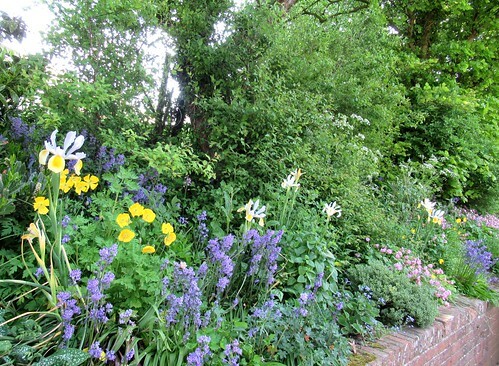 Your semi-wild garden is nice and colorful. I like seeing the name differences between British & American English. I also leave areas wild tho I have a MUCH smaller yard than you appear to have. We have hedgehogs in the evenings and I like to throw apple cores out in those areas for them and any other critters.